New Yorkers - please vote on November 7th. I know it seems unimportant, since our mayoral race and many others are as good as decided, but there is one very important ballot initiative. It's worth a trip to the polls. Turn your ballot over to vote yes on the ballot measures! If you get inspired by the possibility of remaking our state politics, talk to your NY friends and family about the #ConCon. This opportunity only happens once every 20 years! National politics offer a depressing lack of opportunity for change. Local politics is where amazing progressive change is happening. Local government and communities like NYC are resisting Trump policies, from immigration, climate change, and criminal justice reform. We can do more if we push out local government to do more. Elections are one part of that. So vote on November 7. This year in the general election, New Yorkers vote on the ballot initiative: "Shall there be a constitutional convention?" If you are a registered voter in New York, I think this is the most important vote of the year. 1. We can fix structural political corruption in NY State. New York State politics has been rated as one of the most corrupt. The first thing a constitutional convention can do--which is unlikely through the regular state legislative process--is to build anti-corruption measures into the state constitution. A whole host of election reforms are also much more possible in a constitutional convention, including early voting, same day voter registration, term limits, and getting gerrymandering out of redistricting (a mouthful, but very important). 2a. We can expand progressive projects like criminal justice reform, universal healthcare, constitutional protection for equal rights, environmental protection, and legalized marijuana. Yes, some of these things can be done through the regular legislative process, but see item 1 for why many of them won't. 2b. We can enhance worker protections and expand pensions to more people. Separating this from 2a because much of the opposition to the convention has come from unions dead-set on defending existing protections for workers above the possibility of expanding them. They are worried that a constitutional convention could end up proposing rollbacks on pensions that are currently guaranteed in the state convention (ironically, the protection of pensions in NY state constitution came from the 1938 convention (link here, search the word "pension"). The constitutional convention could actually expand worker rights! I think the concern that anti-union money will try to influence the process is real, but the risk of losing pensions is way overrated. New York is a very blue state likely to produce a progressive agenda in a constitutional convention. We have the power over who we elect to the convention, and we have the power to vote down any bad proposals. See Appendix A for a map of the convention electorate. See Appendix B for basics of the process. 3. Local control. This one is near and dear to my heart. Progressive agendas in New York City are constantly stifled by a lack of local control over taxes, regulations, and control of critical infrastructure. The current governor doesn't want to fix the subway? Give control of it back to NYC so we can fix it! Tired of affordable housing plans that rely on incentivizing tons of luxury housing? Give NYC the power to expand rent stabilization/control laws! NYC wants to ban plastic bags without permission from the governor? We need home rule! 4. Legal pot. For real. Worth mentioning again. I don't even like pot, but if that's your thing, a constitutional convention could totally get that done. Tell everyone who likes pot to vote yes! Even in terrible times - especially in terrible times - I want to stand for a politics that is hopeful and not fearful, a politics that is optimistic about the world we can build. I believe in New Yorkers, and I believe in the politics we can create if we only give ourselves the chance. ...However, if you need cold hard data analysis to convince you that a constitutional convention is not likely to be a disaster before you are ready to take the plunge, continue to Appendix A. See full blog post from Sanctuary State NY on why "DATA SUPPORTS THE CASE FOR THE “YES” VOTE. ONLY AN APPEAL TO UNJUSTIFIED FEAR CAN SUPPORT THE “NO” VOTE." "Every 20 years, New Yorkers are asked whether or not to call a convention to revise the constitution. Voting YES kicks off a multi-year process that empowers the people of New York to take back our government from entrenched lobbyists and special interests. Voters have the ultimate power in every step of the process"
More details on the process here. ALL of the elected positions that have power to set and oversee our $80+ Billion annual budget are up for election. 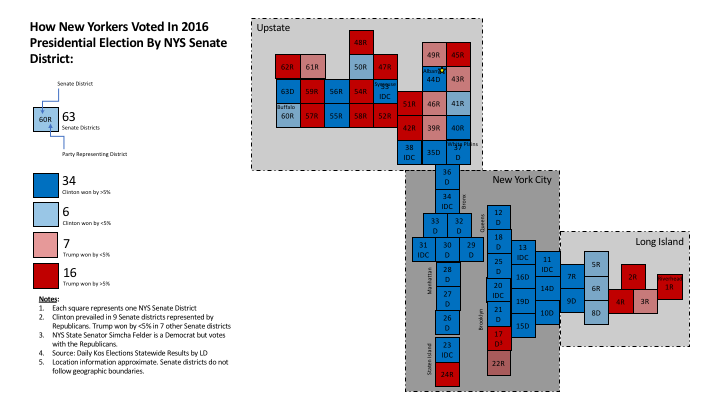 In NYC many races are decided in the Democratic primary (where only 14% of eligible NYC voters voted in the recent primary in September, WTF?!?). Where was everybody?!? The primary passed, what's the point? See reasons above about the importance of the constitutional convention. P.S. If you made it this far, tell me what you think of this email. Let's talk transformative politics (constitutional convention or otherwise). ← What now New York?